There are 14 reviews of La Nuit de L'Homme Le Parfum . Simply adds more longevity to the original, love it! I tried this perfume in my local town's seller. Liked the tones but waited for sales begin. When I first used it, it gave me the fruity touch and under it there was a musk and wooden scent. I use it everyday and very satistifed with the longetivity. The sad thing is, I don't like using a perfume for long time. When the bottle finishes the perfume finishes for me too. I set sail for new adventures. But I'm currently happy and satisfied with this pefume. Smells like a hundred other designer fragrances I've tried. Perhaps better than some, but synthetic and cloying to me. Do not overspray with this one...or you'll be sorry. This was a scrubber for me. Not my cup o' scent. I got this for myself as I liked La Nuit Toilette but couldn't find the original formulation so I thought this would work. I liked it, however the more I use it the more I start to dislike it. It's a good night scent, but not great. I wouldn't consider it safe either. I feel like you got to look a certain way and present a specific way for this scent to work in my opinion. Maybe someone that's a high end fashionable person, sophisticated. Or someone that works in that industry. No doubt i am a big fan of YSL fragrances because they have a Distinctive and Impressive scent but this one is not my favorite.It have opulent fruity notes that makes it pretty a casual scent for me. Fresh, Spicy,Crisp,Oriental and Modern. 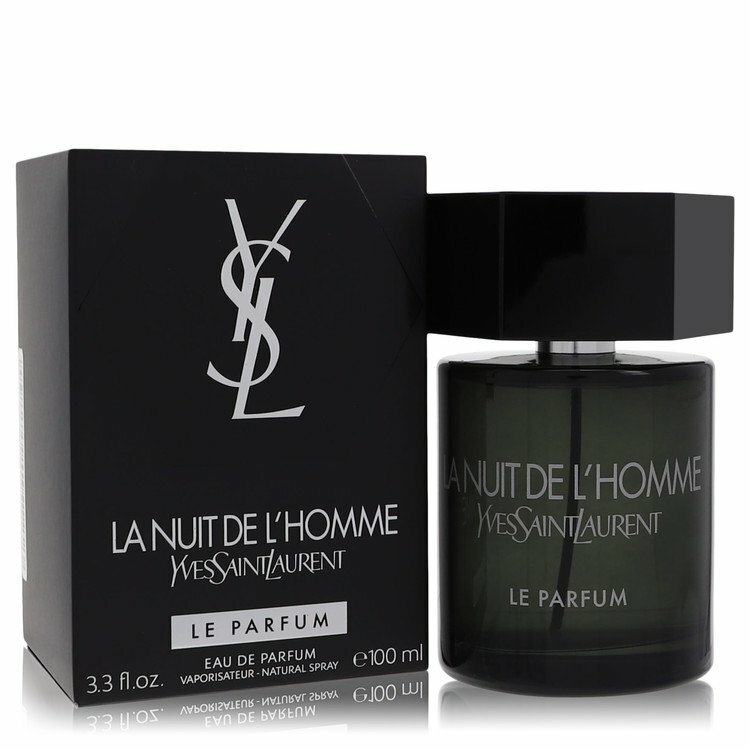 LA NUIT DE L HOMME LE PARFUM have notes of sharp bergamot,spicy fruity,lavender and french labdanum and manly elements like vetyver and patchouli that makes it a Oriental Spicy than Fougere in my mind. It reminds me walking in a fruity garden.It is good scent for a young man and a normal taste too.suitable for SPRING/AUTUMN weather.Anyway if you enjoy fresh,fruity scents try this one.